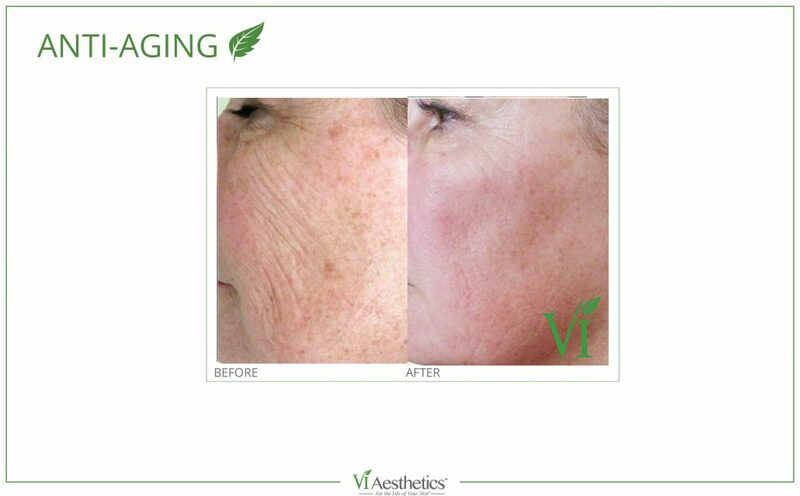 The VI Peel portfolio offers a non-invasive approach to healthier, younger looking skin. 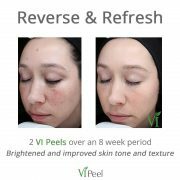 Unique from other peels, the VI Peel is virtually painless and nurtures the skin with vitamins and minerals during the exfoliation process. You’ll receive a take home kit of post-peel care products for your treatment’s success – ensuring optimal, long-lasting results. The VI Peel is specially formulated to rejuvenate aging skin and help prevent future damage. The peeling and exfoliation process takes 3-7 days, requires no skin preparation, and is suitable for various skin types and tones. 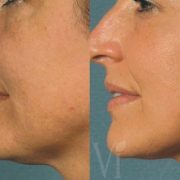 Restore skin tone and pigmentation. 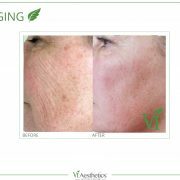 Reduce the appearance of age spots and acne scarring. Purify and rejuvenate oily skin. 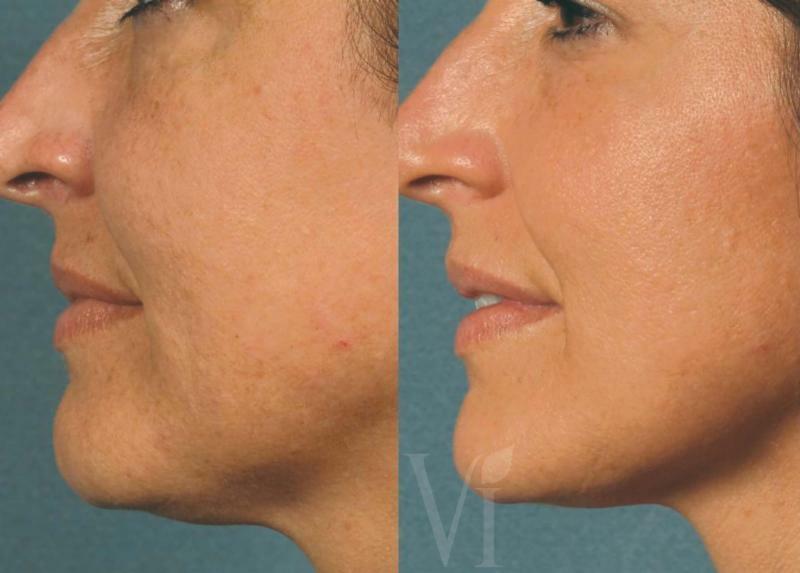 A simple, pain-free procedure, the VI Peel is a gentle, yet medical grade chemical peel that will leave your skin looking young and fresh. 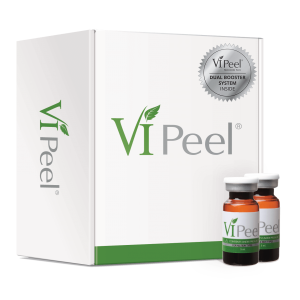 94% of study participants who received the VI Peel had little or no discomfort during the peel process and stated that their skin looked radiant and improved. 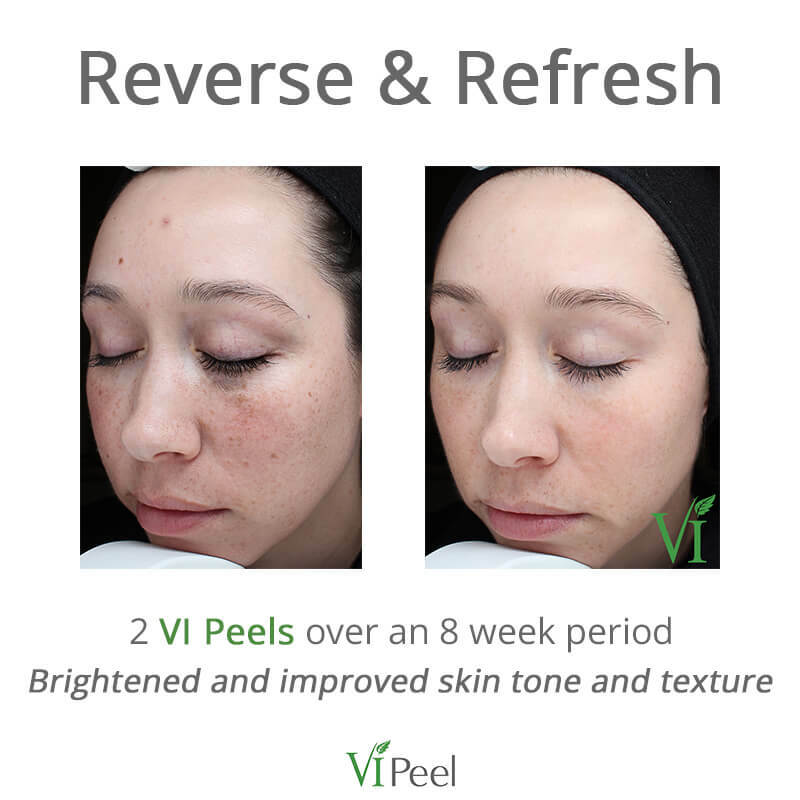 Ready to try a VI Peel? Visit Vivia Center in McLean, VA!